Book your Spring and Summer vacations! Avalon 703 at the beautiful Beach Club is a uniquely furnished and beautifully decorated 3 bedroom, 2 full bath condo that sleeps up to 8. You, your family, and friends will feel spoiled by the beauty surrounding you inside the condominium and out! 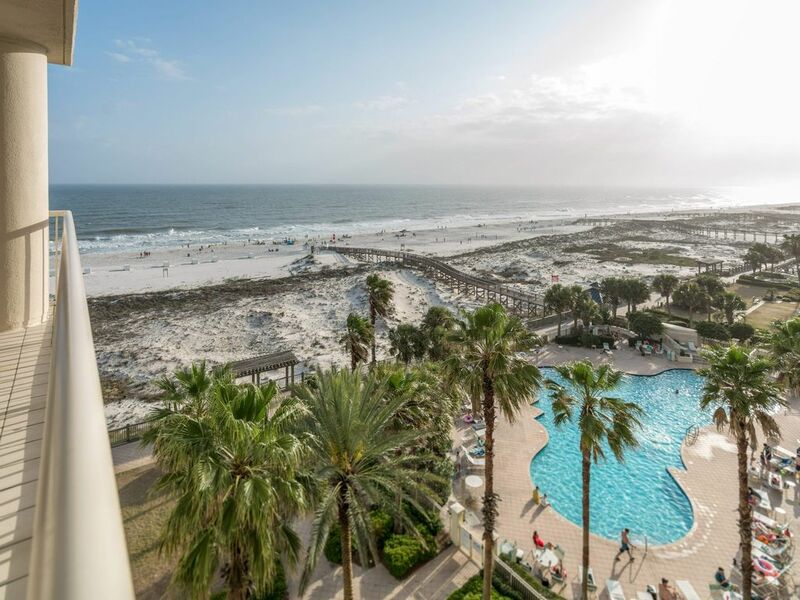 From the seventh floor the balcony hosts the most magnificent quiet retreat overlooking the Gulf as well as a view of the boardwalk and Avalon pool. All bedrooms have a TV/VCR with a DVD in the family room and the Master suite. The kitchen has granite countertops and many other upgrades. There is nothing like 'The Beach Club' in Gulf Shores. It truly has it all, a European spa and fitness club, an indoor heated pool, restaurants, sports bar, a gift shop with essentials, and a meeting space for corporate retreats. You literally never have to get in your car until you leave. The property also provides world-class clay tennis courts, a brand-new playground, and plenty of walking trails. It is guaranteed to be a vacation you will cherish forever!!! No smoking or pets allowed! With the ocean & beach views from our balcony, to the onsite restaurant's, spa, and sports bar, the condo is perfect for people with all variations of interest! Balcony over looks the beach & ocean for fantastic sunsets and frequent Dolphin sightings. Free Wi-Fi in Condo and throughout the resort property. Fitness Room is located in the Club House and managed by a 3rd party. Smart TV's are included in the Living Room and all bedrooms except the master bedroom. Large Game Room for kids located at Club House and managed by a 3rd party. Included at The Club House that is managed by a 3rd party. The private indoor heated pool and sauna are a part of the The Club House and managed by a 3rd party. Avalon Tower has it's own pool and hot tub available for all residents and guests. Available at the Avalon Tower. The condo was very clean and spacious. Well equipped for anything you may need. Elevators were always quick and all 4 were working smooth our entire stay. We love being able to be on the beach and not have to step over people. The property overall is very well maintained. This was our first Thanksgiving to stay away from home and we have decided to make it a tradition. Thanks Joe!! I’m so glad we found this place! We will definitely be back! I was very pleased with the condo and also the entire vacation complex! The landscaping was beautiful and staff were always attending to the property. Property was well maintained and very clean. This unit met all of our needs and I would definitely consider renting it again. The outside balcony was the highlight of the trip. What a view!!! Great location, fantastic view from our balcony. Can't wait to go back. Thank you for opening your home for my grandsons 11th birthday. A great time was had by all.